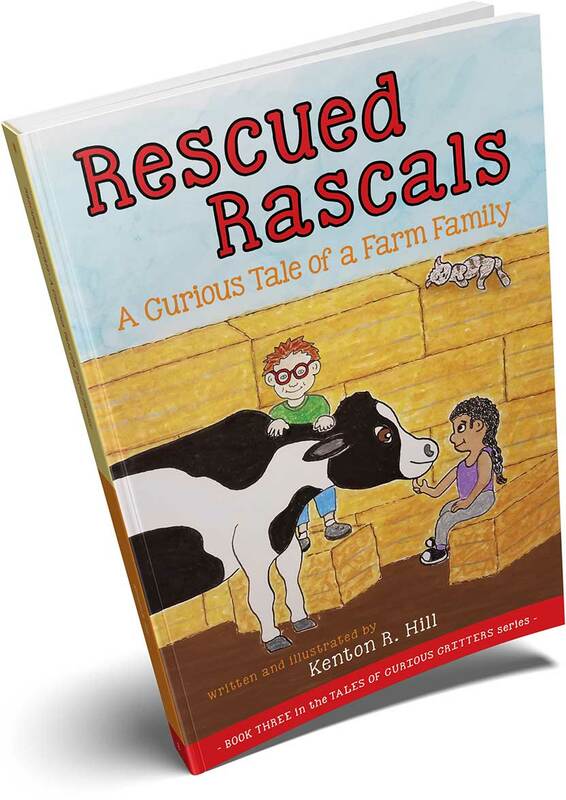 In Rescued Rascals Boone and Rosa’s adventures continue. This time their curiosity takes them to a sanctuary farm, where many lucky animals have been rescued from all kinds of dangerous, unsafe, and unhealthy places. While volunteering to help with the hard work necessary to run this special farm, Rosa and Boone discover that animals who are treated with love and respect have much to offer in return. After a career as a teacher, counselor, school principal, and leadership coach, Ken is now writing and illustrating children’s books. He lives in Portland, Oregon - just a few miles from several sanctuary farms. Impressive! Lots of great facts about animal behavior told from a kid’s point of view. The humor throughout the story is great - increases the kid appeal. I enjoyed the book and so did my six-year-old! I appreciate the basic premise and believe it has an appeal to readers in a wide range of ages. I loved the stories of the rascals. Very enjoyable and interesting reading. The introduction to the goat is great, and the reason for naming him ‘Gus’ is hilarious. I also liked the debunking of erroneous information about the farm animals. 1. What happens to animals who are left behind or abused? 2. Is what I’ve heard about farm animal behavior really true? Boone and Rosa satisfy their curiosity in both areas as they volunteer at a sanctuary farm. The fact-filled stories are interesting and often amusing. Dialog is lively and realistic. I love this book! I like why the goat is named Gus. And I like the illustrations. (Yes. This five-year-old actually used that word.) You can count the times you see the cat. The real 5 year old little brother of a real boy named Boone.